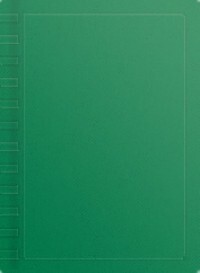 The ultimate entertainment is found in the written word. I love to read and have been known to read more than 100 books in a single year. Fiction of every kind finds its way onto my e-reader. Not everything is 5 star material. However, I love to share my insights and opinions with others who love to read as much as I do. NO JORDAN?! How will it go? Any avid reader has at least heard of Conan. No not the ginger headed late night talk show. Conan as in The Barbarian. 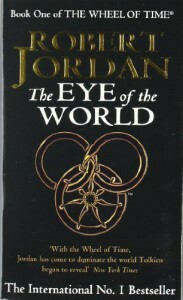 That is the first series that I had heard of that was done by Robert Jordan. Strangely I had never heard of the Wheel of Time. Once I had I was excited to read the epic series. However, I also know that Robert Jordan passed away in 2007 and that 3 books in this series were published after his death. I decided to give it a go anyway and hope that the last 3 lived up to their predecessors. 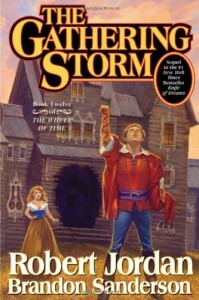 Brandon Saunderson wrote a few paragraphs in the beginning explaining how he came to write these last books and his own admiration of Robert Jordan. It was touching and honest in a way that I appreciated. Nevertheless, I was skeptical that the following book would stay true to the personalities and quirks that I had come to love of each protagonist that was created by Robert Jordan. Here's what I think now... GREAT JOB MR. SAUNDERSON! While I can see a bit of optimism creeping into the character, Rand, that was missing in the last few books written by Jordan, I feel it was exactly the right time to bring that out and I hope that it was exactly what Robert Jordan had planned for the character. The jump from one protagonist to another is smooth and easy to follow. I got easily wrapped up in the continuation of their stories and how each one is living out this adventure just as another is living out another. Rand, Mat, Perrin, Egwene, Elayne and Nynaeve are all characters whose story I want to follow. Each with their own unique outlook on the struggles and each one with their own brand of honor and devotion. Naturally I have found a favorite, but I won't allow my choice to color anyone elses. Suffice it to say, I have enjoyed this series from the beginning. I will continue to the end with a bittersweet emotion. I have enjoyed this Mr. Jordan, I wish you could be hear to know that. Mr. Saunderson, Thank you for continuing the story, I believe you have done RJ proud. Usually stand alone novels are something I want to skip over. I like what comes next and eagerly await the next chapter for beloved protagonists, however I may just give Consumed a try because I liked these two characters. I found myself hoping it would work out for them in true romantic fashion. Danny is the reformed womanizer and Anne is the cautious professional. I give them 3 stars for two reasons. 1 - I can't ever rate a novella a perfect score because they are so quick we have to be rushed through the story. 2 - I wanted a bit of humor and there wasn't any. Serious is all well and good. I enjoy the tension and the romance,but life needs a smile once in a while. Overall... 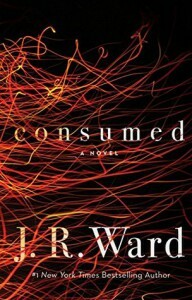 I liked the story and I think I will be buying Consumed just as soon as I finish my current series. Ok... So I don't do puns very well... However, I wanted to make it known that the Wheel of Time series is a good one for Epic lovers. This isn't your regular trilogy, I still have 3 books to go in the series and I know I will finish all of them. Robert Jordan did a fantastic job of making you love each and every protagonist. I love stories that jump from one star to the next so you have a better understanding of what is happening at which time. Becoming invested in what happens to each of these characters is so easy and I can root for each one in their own unique way. Rand, Egwene, Nynaeve, Elayne, Mat, Perrin and a few others are followed on a journey that is a tale of good versus evil. A tale that has been told before, yes... but this is an entirely new and unique way to tell such a tale. Four stars remains my review level of choice because I often get bogged down in the feeling that the story needs a jump forward. It is as if the stage has to be set and reset at times. Yet I still love the series and it isn't enough to stop my enjoyment of following the storyline and characters. I recommend this series to lovers of fantasy, historical fiction or even just those who have read any other stories by Robert Jordan. I only recently learned of the series The Wheel of Time by the late Robert Jordan. Thanks to the internet I found each title in the series, put them in order and started reading. I am blown away by Robert Jordan's ability to paint a picture. He can set the scene so well with his beautiful descriptions. Ultimately you end up identifying with each of the main characters and filled with frustration, sadness and anger toward the antagonist in this series. This is only the first book and I can see that I will be flipping the pages of each subsequent novel at a rapid pace, trying in vain to stay with the characters on their journey. So why only 4 stars if I loved it so much? Well... there were a few moments when I felt that the relationship between the characters could have used a little background and a few moments when the stage had been set and reset to the point that i felt it was taking to long to get back to the story. But nothing so bad that it ruined it for me. I highly recommend for epic lovers. I can already tell that I am going to read each book and remember this series always. The entire series of Jane Yellowrock by Author Faith Hunter. Jane Yellowrock, a unique protagonist. It is honestly one of the things I have enjoyed about this series the most. Jane is a truly individual character. Too many times have the behaviors, humor, appearance, etc. been repeated. It is a breath of fresh air to have a strong female lead that ticks all new boxes. Foremost among the likes for me is that Jane starts out a solo character. Nearly alone in the world with loyalties to a very precious few only looking to make some money and get by. As the story progresses, adventures had and challenges met and overcome, that loner status changes and loyalties get muddied and confused. So much so that you end up wondering just what path she will take. The love of characters grew for me and I ended up having a tidal wave of emotions when my favorites were caught in life altering situations. I laughed, I cheered, I cried and grieved as the series finally hit book number 12. 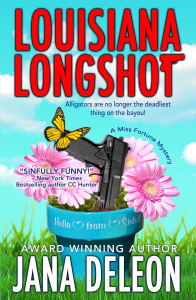 I waited to post this review because I jumped from one book to the next and figured that the last book would be ideal for me to wrap up all that I felt for Ms. Yellowrock and her clan of characters. Now I understand that there will be 2 more books to the series. I am relieved. In all honesty, book number 12 was difficult for me. No one really likes to see a series come to a close when the have enjoyed it so much, but for me it was more than that. I was starting to get angry. I have had a precious few (thank goodness) of series that were ruined for me by how the author chose to end a protagonists story. My fear was that Jane was headed for that category. I recommend this series for someone who is looking for a little outside of the box urban fiction/fantasy. The story isn't overwhelmed by cheesy romance. The paranormal aspect is woven nicely with a reality we can all grasp and the characters are the type you can attach yourself to. First Grave on the Right is by Darynda Jones. It is a unique twist on the story of the Grim Reaper. In this take, Charlotte Davidson (aka Charley) is the Grim Reaper. However, she doesn't swing any scythes and doesn't run around in hooded cloaks bringing waves of doom with her. Instead she is a loving person who puts others needs ahead of hers. She aides the departed in jeans and T-shirts or PJ's with ridiculous sayings on them. Her world gets changed when she comes face to face with a man who has been haunting her dreams for over a decade. But he is far more than he seems. All of sudden life isn't just the easy time of talking to the departed as it once was. Mr. Dark and Mysterious is in real need of her help and the rest of the world will just have to wait. Sweet, snarky, tongue in cheek... the list could go on. I really enjoyed this book. I love the laugh out loud humor of those who say things that many of us dare to think. I will gladly move on to book 2. 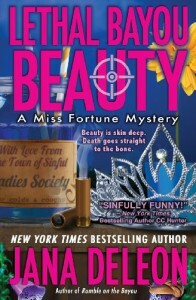 Thank you NetGalley for the ARC in exchange for a fair review. Quick and easy! That is meant as both a pro and con. I enjoyed that the more celtic aspects of this story weren't heavily weighed down with Gaelic words that I had to stumble over. I did not enjoy that the book flowed so easily that I finished it in one day. The pros: A likable protagonist. I really did like Alainn. She was intelligent and spunky. The supportive characters could have been better defined, but I found myself wanting to like Cook, Morag and Lady Siobahn. Storyline.... I enjoyed meeting our fair maiden when she was just a child and wanted her to find happiness as an adult. Cons: As soon as the protagonist is introduced as an adult you can see where the story is going. You know this is going to be some forbidden love. The only question is which twists and turns will be introduced. I found that the solutions seemed easy, but that our characters took a long way around in finding them. Personal prefrence: I HATE CLIFFHANGERS! I don't mind the suggestion of a problem at the end of a book that can spawn a sequel, but an abrupt ending that leaves the story in limbo is frustrating. Conclusion: Overall the story was decent. Characters were likable or hated as was the authors intention. The story was quick to present the quandry, but slow to even suggest solution. I enjoyed it enough to finish the book and have even moved on to the second in the series. I do so with the hope that the characters and story will develop a depth that was missing in this story. Perhaps this was a new author getting their bearings. If so, I believe that The Farrier's Daughter can be considered a good start. After I read the first book in this series, I just HAD TO read the second. Either I have a great imagination or Jana Deleon is great at painting a picture. I am sure it helps that I am able to relate the "Geritol Mafia" to some older women in my family. I laughed out loud at the antics of Gerty and Ida Mae. I will be sure to read the next book as well. I recommend this series to anyone who likes to imagine that getting older will never mean backing down. In the beginning, I didn't believe that I would like the main character. Her job isn't exactly something that I can identify with and I feared that such an emotionally detached person would be off putting. Boy was I wrong. The supporting cast of characters are a rainbow in her otherwise black and white world. Within the story you see the protagonist begin to allow others to color her outlook while still remaining as strong and unique character. The comedy is a little unexpected at first, but you quickly learn to expect unexpected antics from some of the supporting characters. I often found myself laughing out loud and I cannot wait to read every book in the series. It is a blessed break from reality, but is set in a location that is easy to imagine.